We’re excited to announce we’ve opened registration for the 26th Annual Literacy for All Conference, co-hosted with The University of Maine, the University of Connecticut, and New York University. This year the conference will be held November 15–17, 2015 in Providence, Rhode Island. While we know many of you are veteran LFA attendees, each year we have more and more new faces joining us in Providence. Welcome to all first timers! We have made it even easier to register for the Literacy for All Conference! Simply visit https://www.regonline.com/lfa2015 and enter your email address to begin your registration process. We’ve put together a little guide to our online registration system to help make the process as quick and painless as possible. First, you should make a list of all the sessions you want to attend. You can find the full list on our website. Each time block is listed with a letter, ie: LCA, LCB, etc. Then, each session within that time block is numbered. So the full session code will read something like LCA-1 or LCC-4. You can only choose one session per time block, so you should have one LCA, one LCB, and so on. The only variation is in the In Depth sessions, which occur either in the C or F blocks. In Depth sessions are three hours long, not the normal 90 minutes, so if you choose an In Depth session for your C or F, you will not be able to choose a D or G, respectively, as the In Depth session will run through that time. If someone else has to register for you, we recommend that you choose your sessions ahead of time and give the list to the person registering you. If someone else chooses your sessions and you have to change more than 75% of them after October 1, 2015, it will be considered a paper registration and a $15 charge will be applied to your account for processing. When entering in your personal information, please note that there are separate spaces to enter your school district and your school name. When entering your district, please don’t use abbreviations like RSD or UFSD– if the district has a separate name (ie: Oxford Hills School District) please use that; alternately, please spell out the words Regional School District. This will help us keep uniformity in printing name badges, and help match up registrants to purchase orders when we receive them. When you’re done registering, you will see a screen with a green box confirming that your registration is complete. If you don’t get the green box, you haven’t finished registering yet! Once you get to that screen, be sure to read it thoroughly, as it contains details about which sessions have required readings and materials, a list of conference policies, your own detailed agenda based on the sessions you selected, and other helpful links. Literacy for All also includes an exhibit fair with booths showcasing classroom services and products for all grade levels and subjects. Exhibit hours are 4:00–6:00 pm on Sunday, 10:00–6:00 on Monday, with the Exhibit Fair from 5:00–6:00; and 7:30–2:30 on Tuesday. During the Exhibit Fair on Monday, you can enter to win something from our prize raffle, and get books signed by some of our featured and keynote speakers. Please visit the conference website, for information on hotels, parking, attendance policy and certificates of attendance, and sessions with required readings/handouts/materials. Looking forward to seeing you all in November! Less than a year ago, I participated with the Organization for Economic Cooperation and Development (the OECD who do the PISA tests) to do a review of the educational improvement strategy for Wales. Part of the Welsh strategy was to raise student achievement in literacy and numeracy (math) across the country in a relatively short space of time. Our report advised that the Welsh Government should rethink this strategy. Here’s why. 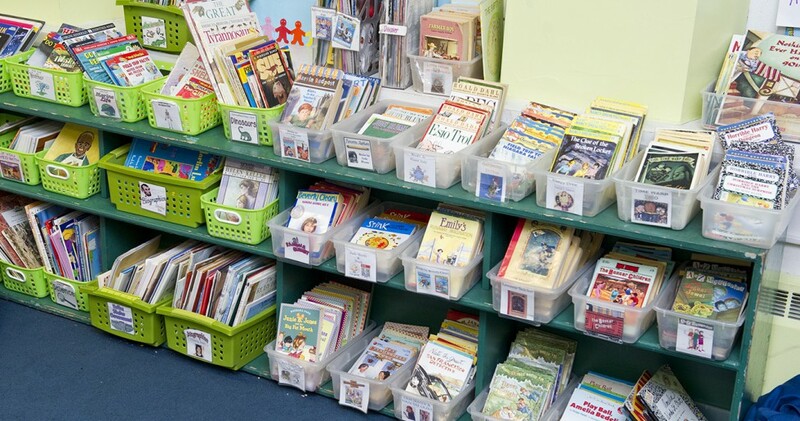 Large-scale literacy reform has been in vogue in the US and elsewhere for two decades now. It has been one of the driving forces of educational change across the country and many other parts of the world. One of the places it began was in New York District 2 in the mid 1990s. There, the Chancellor of Schools, Anthony Alvarado, and his staff, imposed a literacy program across the whole system, linked to measurable achievement gains, and backed up with detailed new materials and intensive one-on-one in-classroom coaching. Harvard professor Richard Elmore and his school superintendent coauthor Deanne Burney articulated and applauded the reform design and its impact on results. Diane Ravitch later took some of the edge off the achievement gains by arguing that some of them were a result of gentrification of the community, not of the change strategy. But the more important point is that when the San Diego school district became enamored of the model, and transplanted Alvarado and many of his team members to implement it on the other side of America in a fraction of the timescale, the results were catastrophic. Gains were not sustainable and open warfare broke out between district factions as teachers and principals buckled under impossible high stakes pressure for short-term results. What was the lesson to be learned? Large-scale literacy reform has to be grown gradually. It cannot be imposed impatiently. Across the Atlantic, England’s Blair Government was also setting about large-scale reform by instituting a national Literacy and Numeracy Stragey (NLNS). The strategy had an extremely tight focus so that many schools abandoned other curriculum priorities to accommodate it, it provided prescribed and paced instructional materials, it exercised relentless surveillance over implementation through the use of coaching and other strategies, and it imposed high stakes consequences for schools that failed to improve. Architects and admirers of the strategy like Tony Blair’s education adviser, Sir Michael Barber, claimed there were significant gains as a result of the strategy. Critics provided data indicating that the improving trend preceded the implementation of the strategy, they pointed to how the results hit a plateau once the easiest wins had been made (for instance by concentrating on what US scholars call “bubble kids”), and they revealed the existence of huge collateral damage in the form of a narrowed curriculum, loss of classroom creativity and the rise of teaching to the test. 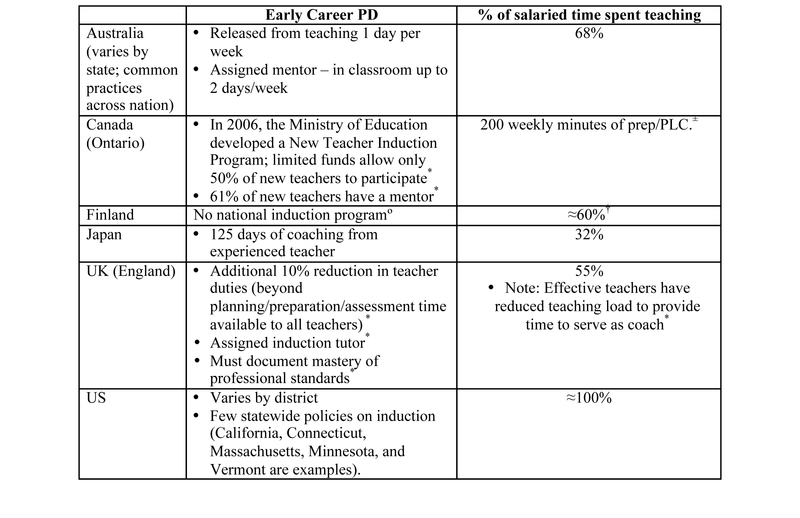 One of the biggest problems was massive teacher burnout and professional disillusionment that led to a crisis of recruitment and retention of high quality teachers. What was the lesson to be learned? Simultaneous imposition of literacy and math reform requires teachers to change all their practice all at once and this is so overwhelming that it threatens the basic capacity of the profession to maintain its quality. On the US’s northern border, the high performing province of Ontario also took on the strategy of large scale reform but tried to learn from the mistakes that had been made in England that it saw as providing insufficient support and imposing punitive pressure, and in San Diego by taking an off-the-shelf model and implementing it too fast. Inspired by the systemic literacy-oriented change efforts of Peter Hill and Carmel Crevola in the Catholic School system of Melbourne, Australia, Ontario created a literacy and numeracy secretariat that made these areas of change the province’s core priority. It paced the change agenda so that achievement gains would be steady and sustainable rather than spectacular but unstable. It also provided a stronger spirit and much higher levels of support than in England in terms of resources, training, partnership with the teacher unions and an emphasis on school-to-school assistance. Ontario’s literacy gains of 2-3% or so every year seemed both steady and cumulatively substantial and sustainable. But even its more advanced strategy had its limitations. The literacy gains were not matched by similar gains in math over the whole reform period, and in the past four years, math results have actually fallen. In practice, reformers now acknowledge, the numeracy strategy was not nearly so intensive as the literacy strategy. What is the lesson to be learned? In practice, even Ontario, with all its change knowledge, couldn’t implement wholesale changes in literacy and numeracy together, so one half of the strategy fell by the wayside by default. Effective continuous professional development and implementation of the Literacy and Numeracy Framework may …. require judgments about sequencing. To implement the framework requires teachers to learn three new things: new content in literacy, new content in numeracy, and new pedagogical strategies for effective differentiated teaching in particular. For a primary teacher, these three areas of learning affect all their teaching, almost all of the time, all at once. There is increasing evidence that this is simply too much. For example, in Ontario, the effort to implement the Literacy and Numeracy Strategy in practice meant that while great gains were made in literacy, the other half of the strategy (numeracy) did not get implemented to any great extent and in recent years results in numeracy have actually fallen….. Wales should learn from this experience. This is a valuable lesson not only for the nation of Wales, but for all nations undertaking system-wide reforms in literacy, or math, or both. Andy Hargreaves is the Brennan Chair in Education in the Lynch School of Education at Boston College. 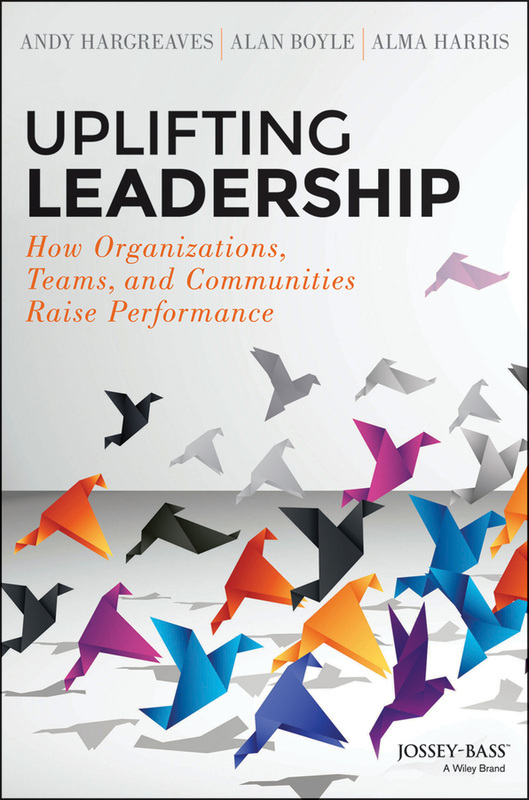 His new book with Alan Boyle and Alma Harris is Uplifting Leadership and is published by Wiley. NCLB Reauthorization Proposal and What Really Works in Turning Schools Around? Two items in the January 18th EdWeek caught my eye. The first is an article about the ongoing attempts to reauthorize the Elementary and Secondary Education Act most recently known as No Child Left Behind, as well as the Obama Administration’s proposed waiver/modification plan for some of NCLB’s provisions even if a revised version of the law does not pass. The article includes a helpful comparison chart of what is currently in the law, and some major differences (and similarities) between the two proposed bills as well as the White House’s alternative plan.